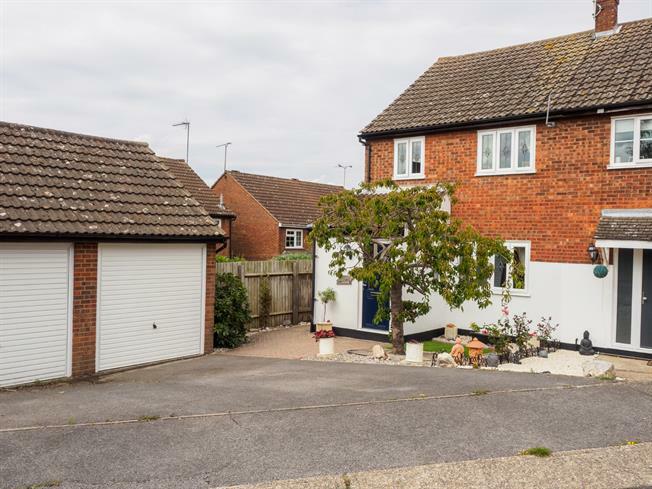 4 Bedroom Semi Detached House For Sale in Billericay for Offers Over £400,000. Situated in a quiet cul de sac location on the sought after Queens Park area therefore within easy reach of local shops, Lake Meadows Park and the station is this well presented four bedroom semi detached house that has been extended to the front, rear and loft. The ground floor comprises of three receptions, a fitted kitchen and wc, the first floor benefits from a family bathroom and three bedrooms - two with fitted wardrobes, and a master suite to the top floor with an en suite shower room, fitted wardrobes and large walk in eave storage and has far reaching views to the rear. Externally there is a rear garden with large summer house/store room with a driveway and detached garage to the front.